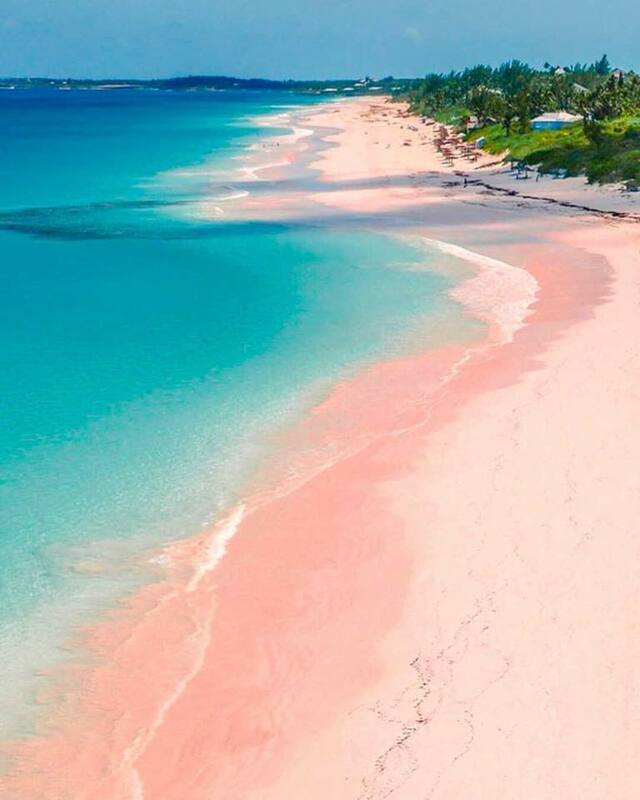 Beautiful and stunning Pink Beach! 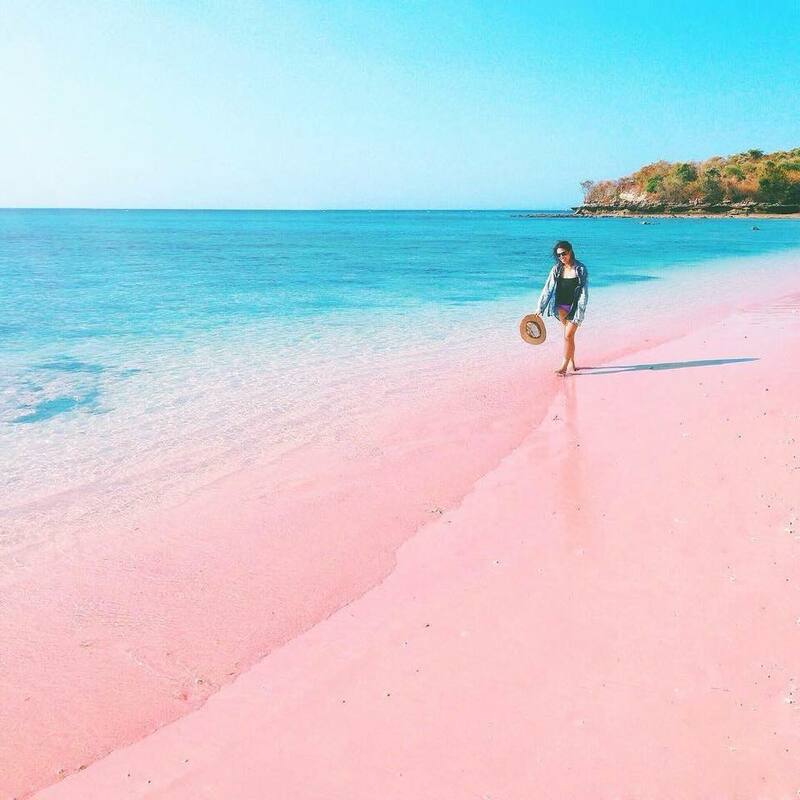 Pink Beach, or Pantai Merah, as it is aptly named, is one of seven pink beaches on the planet, and is just one of the many amazing features of Komodo Island that make it truly a Natural Wonder of Nature. This exceptional beach gets its striking color from microscopic animals called Foraminifera, which produces a red pigment on the coral reefs. For this reason, it is called Red Beach in the local tongue. 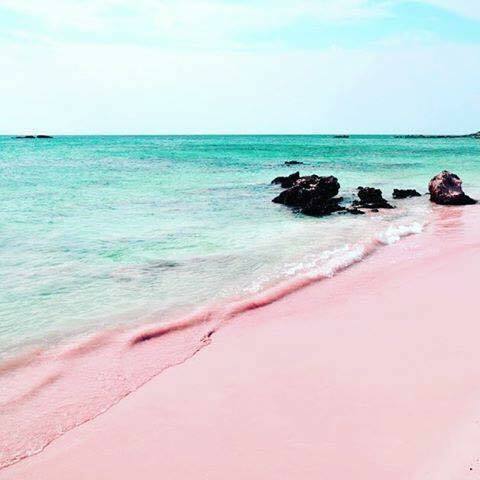 When the tiny fragments of red coral combine with the white sands, this produces the soft pink color that is visible along the shoreline. Aside from Pink Beach itself, a few small segments along Komodo’s eastern bay also have a pinkish tint. Pink Beach in Komodo – Pink Beach as it is named is a unique beach because it has pink sand that is really beautiful. This beach is located on the Komodo National Park Nusa Tenggara Timur Indonesia. Beside it beautiful scenery, this beach is also having a stunning underwater scenery to snorkel or to dive. Here you can find various fish species and many kinds of corals. Until nowadays, it still cannot be known surely how come this sand can have pink color. Some people stated that this is because of red coral rubble that is already dead and you can find a lot on this beach. 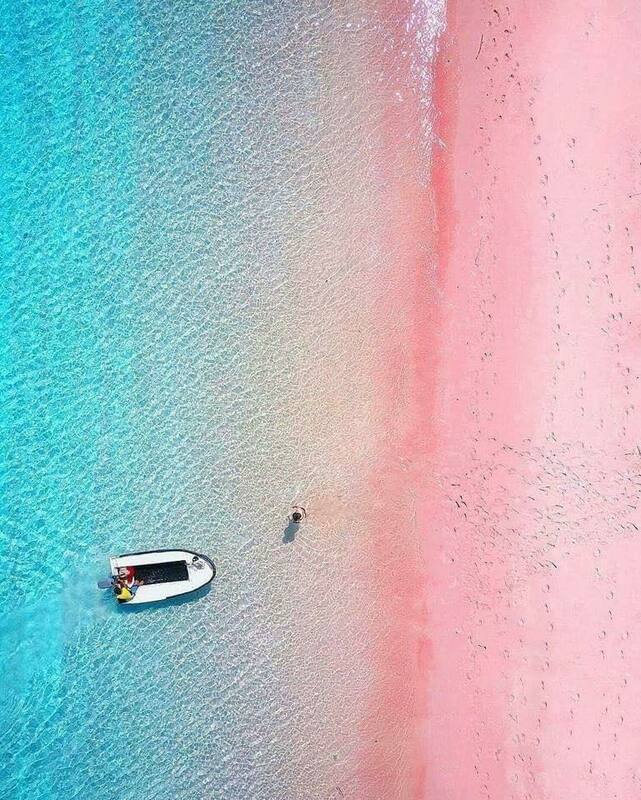 Another statements said that the pink colors on the sand on this beach is coming from the microscopic animals called foraminifera that produces red or light pink colors in corals. Pink Beach in Komodo is an unpopulated beach that can be reached with renting boats or speedboat from Labuan Bajo. Usually, tourists will combine it with Komodo island trip. It needs for about 4 hours by local tourists boat from Labuan Bajo or just 30 minutes by local boat from entrance visitors’ gate on Komodo island. The best route to the Komodo National Park is most definitely through Bali. As one of the most popular destinations in Indonesia, Bali is an extremely well connected airport with international flights available from Amsterdam,Bangkok,Brisbane, Darwin,Dili, Doha,Hangzhou, Hong Kong, Kuala Lumpur, Macau, Manila, Melbourne,Moscow, Osaka, Perth, Singapore, Sydney, Taipei, Tokyo and others. Domestic flights are available from all major cities of Indonesia. 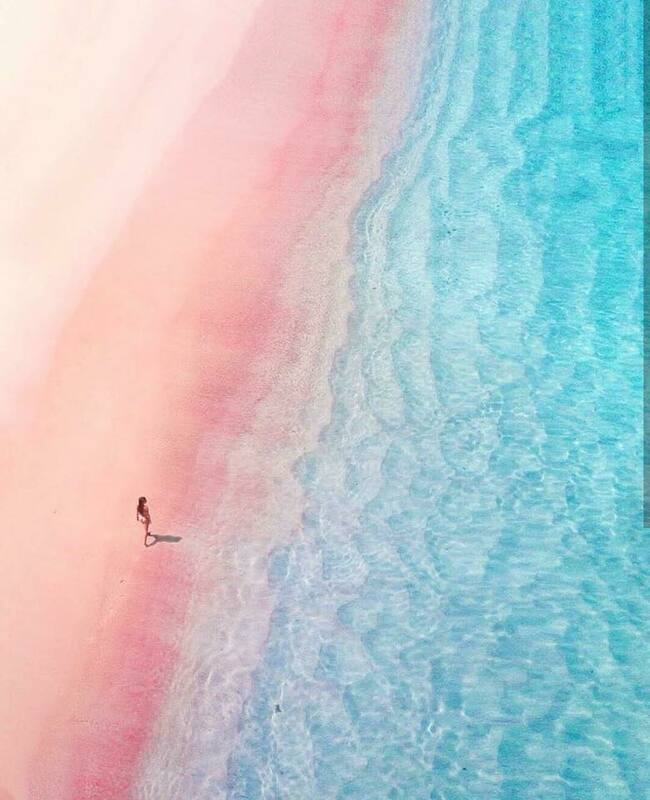 Pink beach in Komodo is empty of population. It is because of this beach is too small and no much of life found there including very less trees. The surface of land is dry and then green of grass when the raining season. 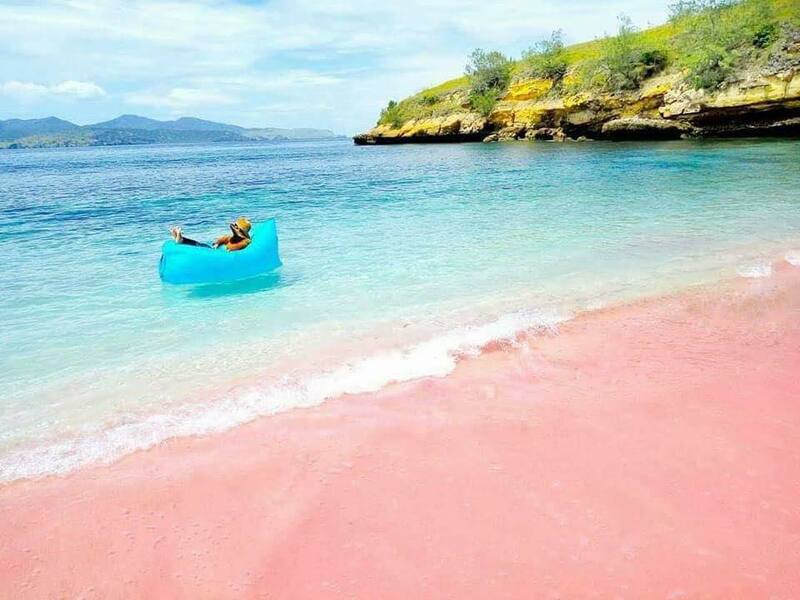 However, this pink beach is very popular among the tourists who visit Komodo Island. 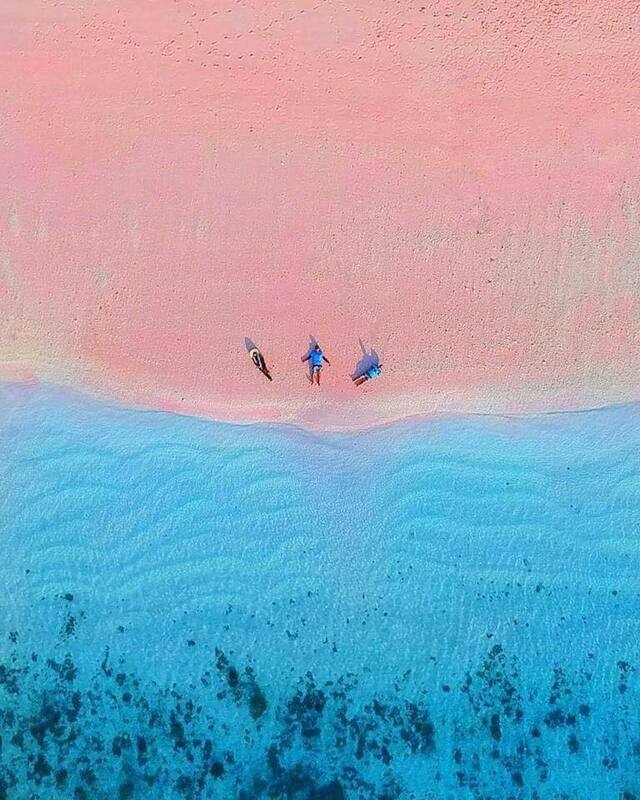 After completion of trekking on the island of Komodo, then the next we can enjoy relaxation while swimming, snorkeling and laying down on this beautiful pink beach.